“The time is coming declares the L-rd, when I can make a New Covenant with the home of Israel…I can put my laws in their minds and write it on their hearts” (Jeremiah 31:31-33). The New Covenant Prophecy tells the very personal, real-life story of a Jewish believer who believes that Yeshua (Jesus) is the Jewish Messiah. His fascinating background includes being born in London into a rich Jewish circle of relatives, parental divorce, anti-Semitism, and a supernatural spiritual experience when a Voice told him that he used to be loved and would be used to minister to God’s people. Jews, Messianic Jews, Christians, and nonbelievers alike might be enthralled with the intriguing details of his life in England and the US—not only what used to be going on spiritually but also his keen mind for business-building and entrepreneurship. Written from a Messianic viewpoint, the creator shares his spiritual discoveries in sensitive yet exciting ways that reveal the Good News of Yeshua so Jewish people can better have in mind the New Covenant—and Gentile believers can better have in mind the Church’s reconnection to Israel in the last days. Hey Buddy!, I found this information for you: "The New Covenant Prophecy: A Supernatural Jewish Journey of Faith from the Old to New Covenant". 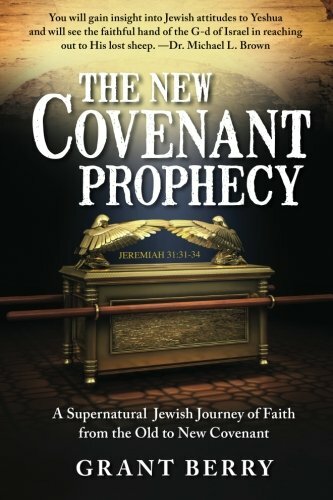 Here is the website link: https://christiansttshop.com/product/new-covenant-prophecy-supernatural-jewish-journey-faith-old-new-covenant/. Thank you.